The audiobook was extremely interesting and definitely worth the listen. These are fop doctors. Def get it an read it and tell your friends ! This book is excellent. Very well written and th content is incredibly informative. 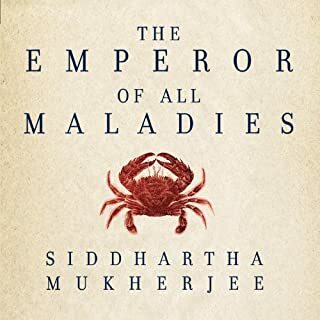 If you want to know about cancer, this is THE book to read. 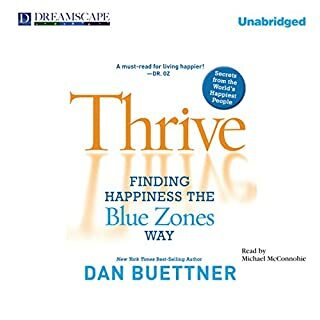 In the first book to identify demographically proven happiness hotspots worldwide, researcher and explorer Dan Buettner documents the happiest people on earth and reveals how we can create our own happy zones. Detailing extraordinary new discoveries and meticulous research on four continents, Buettner observes happiness in unlikely places and gleans surprising insight into what generates contentment and what it means to thrive. Great info but very fast narration so it was one thing after the other but it went through everything very quickly. I think they could have slowed down an added in some definitions of what certain things were. Read his other books first to get this one!!! Would you listen to Spontaneous Evolution again? Why? Yes awesome, I have reread this one and his other books repeatedly! He Is so brilliant! He is just so right! Listen to his other two books first as then u will be convinced, this book shouldn't be read first. He has another book coming out with word honeymoon in it. Read that one last! This one third! 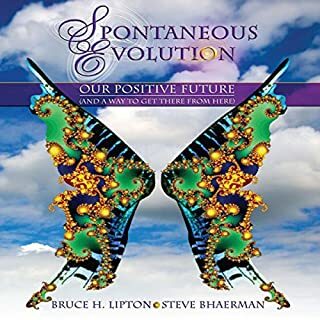 Have you listened to any of Bruce Lipton and Steve Bhaerman ’s other performances before? How does this one compare? Only Bruce Lipton did one book w him so far! I love it! It makes me happy as it brings me closer to understanding great truths! A must read but his other teo books are way better to start w or u won't get how great this book is. Excellent! You won't want to stop listening!! If you could sum up Zoobiquity in three words, what would they be? 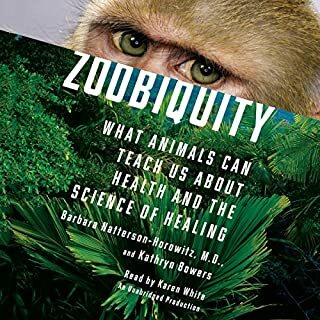 The authors, Barbara Natterson-Horowitz and Kathryn Bowers, did an amazing job of comparing veterinarian medicine to western medicine and proving that veterinarian medicine is just as important as human medicine. I learned a lot about what different disease that animals also get that us humans also get. These woman who came together to write tho book, really prove that much can be learned from using what we know from both types of medicine. Ver interesting to learn about our furry friends who have the same or similar disease and how they are treated. After reading this book, I wish I had a doctor like the Cardiologist in the book who looked into case studies on animals and compared them to human patients with same diseases...this book provides SO MUCH insight that makes a very good case for viewing human medicine and veterinarian medicine as a regular habit for all medical docs and for vets. Definitely an amazing book book which is absolutely loaded with fascinating material that makes a compelling case for viewing human health and animal disease comparatively. We have SO SO much to learn from other species than I had ever thought of. If you are just looking for an interesting book that is chalked with interesting science and about medicine this is great listening material!!! ENJOY!!! What was one of the most memorable moments of Zoobiquity? The beginning of the story on how she got started on this path! She has a great voice that just compliments this great book. Nanotechnology is radically altering the world in ways almost unimaginable in only the very recent past. With applications in arenas from medicine and science to warfare and even the world of sports, nanotechnology opens the doorway to a vast array of breathtaking possibilities. 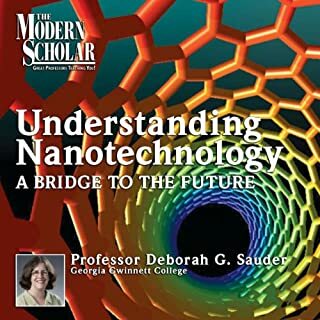 In this series of clearly articulated lectures, Professor Deborah Gibbs Sauder explores the world of nanotechnology and all its astounding applications, while also examining the ethical issues raised by the science and the impact nanotechnology is having on big business. What made the experience of listening to A Bridge to the Future: Understanding Nanotechnology, Part 1 the most enjoyable? Just so many examples of how nanotechnology is being used and how it will be used and how it can be used. AMAZING, a must read. What was one of the most memorable moments of A Bridge to the Future: Understanding Nanotechnology, Part 1? I guess after hearing everything nanotechnology can do when it was said that Universities are working hard to make nanotechnology programs because there will be so many jobs in this area and we need people trained. I am older and I still want to go back to school and be trained in nanotechnology! YES I did listen in once sitting and I have re listened to it SEVERAL TIMES< I lost count! This should be required reading and have your kids listen with you, it will definitely get them excited about nanotechnology and I bet they will want to go study it. I m sure whoever does will do get very good jobs!! The earlier they start the better! So jealous of those that already know how to produce items via nanotechnology! yes I would because I believe Japa Mediation is a powerful tool for manifesting things in your life. I have had to listen to a ton of books to figure out that jape is the best and no one else has made an audio book about it...although there is a guy on the internet that gives a free sample of how it's done with letters to get into the gap... here is a guide how to do it for free and probably a better way for me anyway, but Dr Dryer does add some information even if it's just a little that will help you...well maybe one thing which is when you exhale make your ahhhhhh sound as long as you can..they say 9 seconds approx. but I m about 100 pounds and I can only do it about 7 seconds I think. 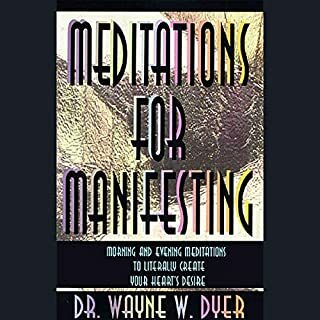 it seems like to keep up with Dr Dryer in this book I really had to effort it...go to this link and read about it and then do the free audio on this page..if you want to learn Dr. Dryers way get this book...albeit that this way on this link maybe easier. Rating this book high simply because no one else has done it...perhaps the guy who did the page I gave you a link too should do a full audio book....LOL I not a huge fan of Dr. Dryer but I do love Deepak Chopra...I feel like Dr. Dryer hangs on Deepak's coat tails a bit........but they do have some nice talks together..this was first time I ever bought a book that just has Dr. Dryer. I wouldn't get another book from him but because of my interest in japa it was worth it... he should have named it JAPA Meditation so you know what kind of meditation you are going to learn. What about Dr. Wayne W. Dyer?? ?s performance did you like? well he went through it with you, I just felt his breaths were too long for me, wish his exhales were shorter so I felt i was right with him...but I learned his technique...but above I give you a link to info on Japa and a free audio sample of how to do it a different way which i think is better so you really don't have to spend money on this book. go to this link and read about Japa and then do the free audio sample. it's diff then WD way but probably better so you can save your money...but if you really want to learn his way get the book. What did you love best about The Bond? 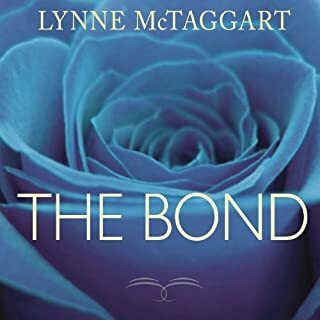 Lynn should have read her own book this time too....like she did her others...they did find someone who mimics her ok but it still isn't her and when an author that speaks well and clearly reads their own book it adds a lot to the book..I really realized this to be very true with all the books I have listened too. I think I have listened too over 250 books now..unfortunately for audible I did get a lot of audio books elsewhere. But I have upgraded my account so I not limited to one credit a month. I bought all my credits for the year and I may buy 4 at a time..and I only buy books that are over like 10 ish dollars and I pay with debit card for books I really want to read that are like $5-9 dollars...with my plan my books cost me $9.00 so I try to buy the more expensive ones first and then I decide how important it is to read a $10.00 to $14-15 book. I forget how many books I started off with but I paid like $250 ? and now I only have 5 credits left for the year...BOO. I going through my credits to fast but it is now my second favorite hobby...I am recovering from a major illness so I don't get out much. LOL but now I more well read then I ever imagined I ever would be. I never read before audible. Never the time. Now i can read while waiting for an appointing, in the car, as I go to sleep, when I wake up, just anytime. It's helping my recovering from a brain injury where I couldn't read at all....doctors are impressed. What three words best describe Karen White?? ?s performance? she was ok, she sounded like L.M. at times but since she didn't write it you can tell, I can tell anyway because I have listened to L.M. others books MANY MANY TIMES. Ex the INTENTION EXPERIMENT was her best book I think and I have re listened to it so many times I can't tell you..some reasons are because I fall asleep listening and I have to go back or I just want to make sure I remember everything and I enjoy the books so much I will re-listen. No extreme reaction. 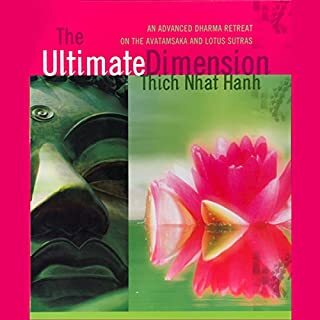 I will say I learned things I didn't know so that is always cool but I haven't gone around going to my friend OMG this is the best book you have to read it...like I do with others books...her best books is the INTENTION EXPERIMENT and the other book is cool too but yeah...that's about that. This was not her best book but it's a should read and you will learn a lot since it's based on scientific data. I learned a lot. I didn't enjoy the person reading it as my as Ms Lynne M. speaking. well I recommend u read others first n then maybe. Would you try another book from Gregg Braden and/or Gregg Braden? I am sure I will read more of his books. He re emphasizes what I know and he adds a little bit to what I didn't know. I wish he included studies from journals and more scientific data a long with this book. What he says is true but for other people I wish the science was all there and while he isn't super religious, he mentions some things from religions that just isn't necessary and maybe a turn off to some. I don't let it bother me but it may bother others. I just listen for data. I feel like he doesn't back his date but i have read so much that I know he is write on...so he is a brilliant man. I would recommend you read BRUCE LIPTON's BOOK that are on addible with exception of his Spontaneous Evolution book the rest are amazing and backed up and he know his sciences and was a Medical School teacher until he figured out some things that we have been learning wrong. He explains everything so well in his other too books on audible. Read that and read The Intention Experiment by Lynne M. and read The Hidden Messages in Water and then if you read those and like them follow what I am reading and i ll try to tell you if it's a waste of money or not..in fact I read those before this one and then say this one is not necessary...but since I want every piece of data i can read about this stuff then I read it all...I mean LISTEN lol! 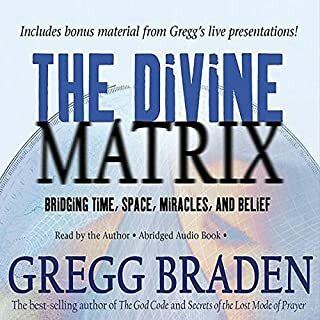 What does Gregg Braden bring to the story that you wouldn?? ?t experience if you just read the book? 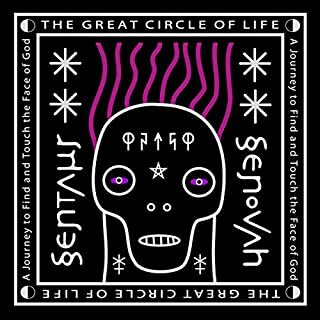 Was The Divine Matrix worth the listening time? well I have enough other books I don't think this added to my knowledge but it's right on..just other books I think are done better..I will read his other books searching for other tidbits of knowledge..he is very smart but I enough the really direct books that prove there points with studies etc..
His voice is a little hard to understand but I still like it. You get used to it and if you have problems sleeping it's not a bad book to put on and fall asleep too...his words are simple and to the point and soothing at the same time. Enjoy.